1. To make marinade: In medium bowl, whisk together canola oil and vinegar until combined. Stir in shallots and Herbs de Provence or thyme. 2. Cut steak into ¾-inch (1.75-cm) cubes. Add meat to marinade, cover and marinate up to 15 minutes at room temperature or up to 2 hours in refrigerator. Remove meat and discard remaining marinade. 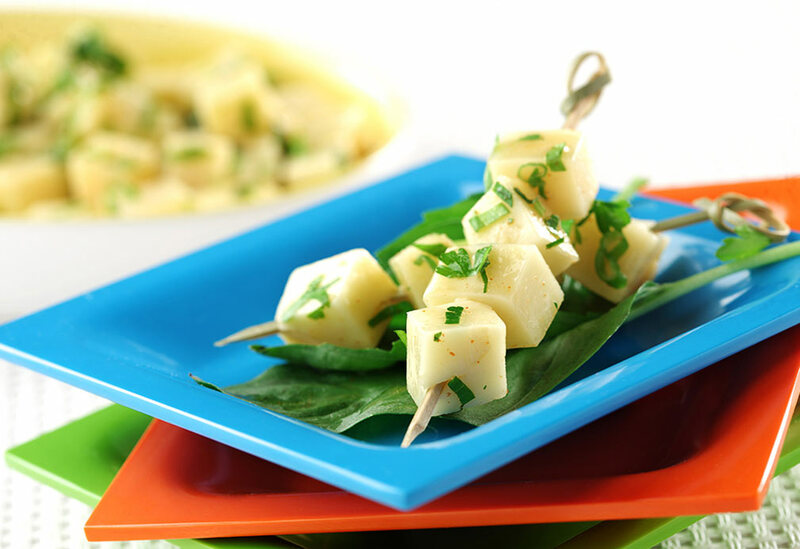 Meanwhile, soak 24 bamboo skewers (6 inches or 15 cm long) in water for 10 minutes, then drain. 3. Place one tomato half and then one piece of beef and then one tomato half on end of each skewer. 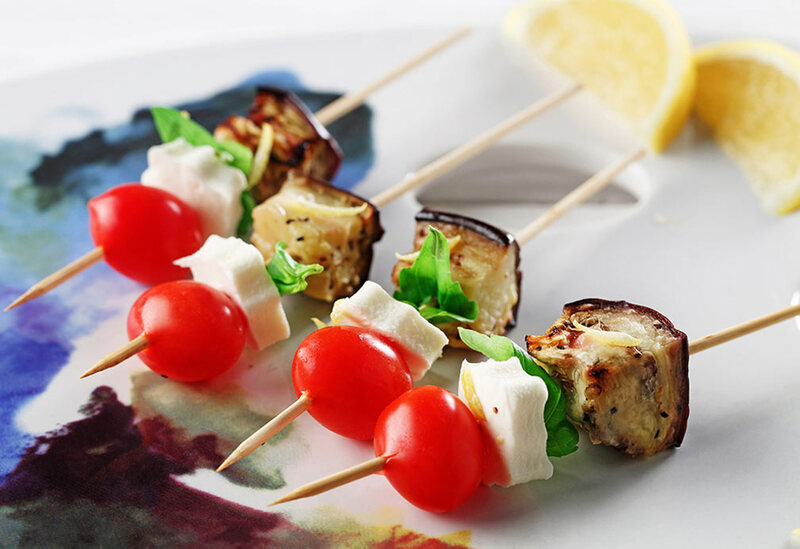 Skewers may be made up to day ahead and stored in refrigerator in airtight container. 4. Spray grill or large grill pan with cooking spray and preheat over medium-high heat. Place beef skewers on grill and cook 4 minutes for medium to medium rare, turning once. Do this in two to three batches if using grill pan. 5. To make sauce: In small bowl, whisk together mustard and canola oil until combined. Stir in parsley and pepper. Sauce will keep in refrigerator in airtight contain for up to three days. 6. 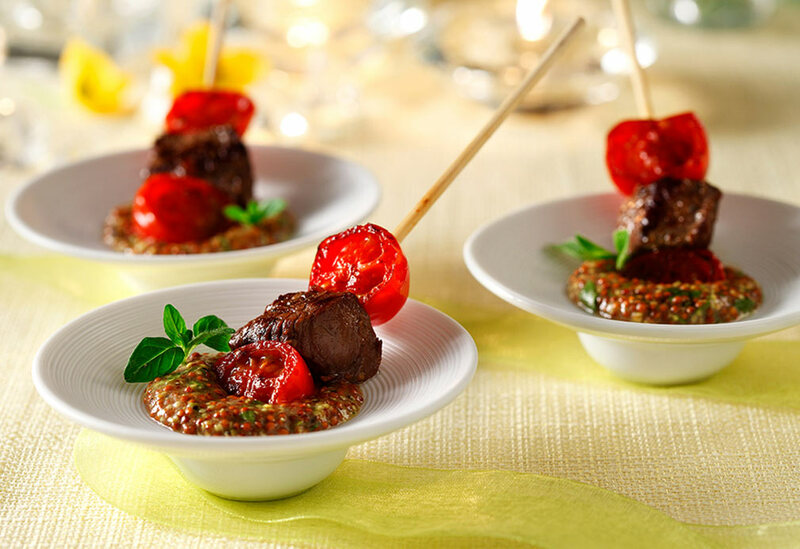 To serve: Arrange skewers on platter with small bowl of sauce for dipping. Sprinkle with additional parsley to garnish.